Lisa Stenmark earned her M.Div. from Pacific Lutheran Theological Seminary, an MA in Systematic Theology from the Graduate Theological Union. After serving for a year as an interim pastor in the Upper Peninsula of Michigan, she went on to Vanderbilt University where she earned her Ph.D. in Religious Studies. She currently teaches at San Jose State University, in the Comparative Religious Studies Program. She has been active in the science and religion discourse for over a decade and was the founder and Director of Women in Religion, Ethics and the Sciences (WiRES). She currently serves on steering committee of the American Academy of Religion’s Science, Technology and Religion Group, after serving as Co-Chair. 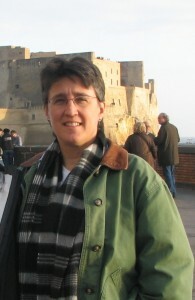 Her scholarly interests include the implications of narrative trajectories for understanding the relationship between science, technology and religion, and rethinking the ways that religion, science and the science and religion discourse can and should engage in the public sphere and is currently working on a book entitled A Disputational Friendship: Religion, Science and Democracy. In her spare time she practices Aikido (in which she has a Black Belt) and other martial arts, trains for triathlons and is an avid Science Fiction fan. 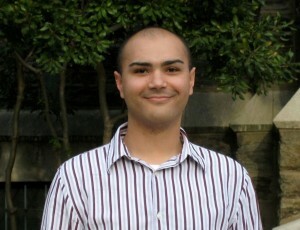 Greg A. Egertson, M.Div. was born in Minneapolis, Minnesota, in 1957. The oldest of six sons, his parents are the Rev. Dr. Paul W. Egertson (Bishop Emeritus, Southern California West Synod ELCA) and Shirley Smith Egertson. Greg grew up in Las Vegas, Nevada, and in Los Angeles, California. He was raised in the American Lutheran Church and comes from a family of Lutheran pastors, including his father, grandfather and brother. Greg graduated from California Lutheran University in 1978 with a bachelor’s degree in Psychology. Two years later, he completed the requirements for an undergraduate degree in Music. He worked at UCLA as a Research Associate in the Neuropsychiatric Institute until 1982, when he relocated to San Francisco. Since then, he has been a member at St. Francis Lutheran Church where has served in a number of leadership roles, including congregation president. In 1983 Greg enrolled as an openly gay student at Pacific Lutheran Theological Seminary (PLTS), in Berkeley, CA. Often referred to as the “fourth seminarian,” Greg was a classmate of Jeff Johnson, Jim Lancaster and Joel Workin, “the Berkeley three.” After completing his internship at St. James Lutheran Church in Portland, OR, Greg graduated from PLTS in 1989. Because he refused to vow celibacy, Greg was not approved for ordination in the ELCA. Upon his return to San Francisco, Greg was appointed to serve on the call committee at St. Francis that called Ruth Frost and Phyllis Zillhart to serve with Jeff Johnson as the founding pastors of Lutheran Lesbian & Gay Ministries (LLGM). In 1993, Greg became a founding board member of the Extraordinary Candidacy Project (ECP) where he served until 2003. He joined the LLGM Board in 1998 and was approved for ordination by the ECP in 1999. During his time with LLGM, Greg filled many board positions including co-chair. He helped to shepherd several extraordinary ordinations and installations of ECP pastors. He also provided key leadership in the visioning process that resulted in February’s agreement to join LLGM and ECP. In his secular life, Greg currently holds a position as Associate Dean for Budget, Administration and Enrollment Management at Golden Gate University School of Law in San Francisco. Julie Boleyn grew up in Oregon, attending a Lutheran church for the first time at the invitation of a high school friend. While still in high school, she became a Sunday School teacher, jr. high youth leader, and sang in the choir. Almost directly upon graduation, Julie started working for a start-up software company as their first employee. While the work was interesting, she found her real joy was always in the volunteer work she did with the church. In August of 1997 she came out as a lesbian, leaving her marriage of 2 years. It was in Bible study, not long after, that she realized that God’s love urged her out of the closet, much as Jesus called to Lazarus to come out of the tomb. With this new found freedom and hope, she left her work in software and volunteered on long-term staff at Holden Village. It was there that she discerned a call to the ministry as a parish pastor. In May 2010 Julie completed her masters at Lutheran School of Theology at Chicago. 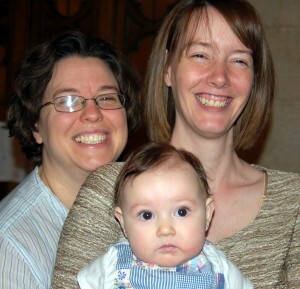 Julie and her partner, Jeanine Reardon, were married in a church ceremony at St. Paul Lutheran in Evanston, Illinois in October of 2004. Jeanie is training to become a chaplain, and is completing her year-long residency at Alexian Brothers Medical Center. In January of this year, Julie and Jeanie welcomed the birth of their daughter, Madelyn. They are thrilled, awestruck, and humbled by this new vocation of parenthood. You are currently browsing the archives for the Approved for Ordination category.